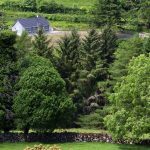 Turais Lir (Lir Tours) is based in the beautiful Glens of Antrim providing walking tours which feature the culture, literature, architecture and heritage of the Glens and surrounding areas. Turais Lir (Lir Tours) was founded by Jude McNeill who is from the Glens of Antrim. Jude’s inspiration to become a tour guide was her Grandmother Mary McNeill; a lady from the Glens, who had a love of history and the outdoors. Jude is a qualified Tour Guide and registered Tour Guide with Tour Guides NI. Jude is a qualified trainer, facilitator and mediator and holds a Bsc in Geography and Msc in Rural Development. ‘Poets, Painters & Playwrights’ in Cushendun on Saturday 14th July 2018 at 10am. 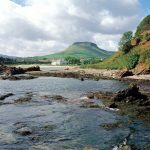 This is 2- hour tour featuring the beautiful landscapes, the 5 ‘Big Houses’ of Cushendun (including a tour of Glenmona House), architecture, music, literary & art associations – renowned artists & writers such as Moira O’ Neill, Louis Mc Niece, John Masefield, & James Humbert Craig. Cost is £12 pp. This is a fairly flat route, please bring a waterproof coat and wear suitable walking shoes. Booking essential. Please contact Jude on 07510 356702 or email turaislir@gmail.com for more details and to book.